Philip Goldenberg is a Corporate Finance specialist with wide-ranging experience in UK domestic corporate finance and governance, with particular emphasis on mergers, acquisitions, flotations, issues and reconstructions and employee share ownership. An assistant solicitor at Linklaters from 1972 until 1983; a partner at SJ Berwin from 1983 to 2004 where he edited their Business Guide to Directors’ Responsibilities; and then a consultant at Michael Conn Goldsobel which ended in 2018. In 1988 he was admitted as a Fellow of the Society for Advanced Legal Studies. Philip has also had an active involvement in public policy matters relating to his professional sphere. He was involved in the conception and enactment of the employee profit-sharing provisions of the 1978 Finance Act. Having acted as Legal Adviser to the Royal Society of Arts’ Tomorrow’s Company Inquiry, he then advised the then DTI on its Company Law Review, and his recommendations were accepted on directors’ duties with regard to shareholders and stakeholders. He has subsequently worked with Tomorrow’s Company (which he helped to establish) on many of its projects, including currently Tomorrow’s Business Forms. He has worked with Fair Pensions (now Share Action), and subsequently the Law Commission, on fiduciary duties down the chain of investment intermediaries, and was a member of the RSA Working Group whose recommendations led to the recent introduction of Collective Defined Contribution Pension Schemes. In the business world, he is a former Member of the CBI’s Management Committee. He chaired the quoted property company Mission Capital for four years before its acquisition by Quindell. In the charity world, he was admitted as a Fellow of the Royal Society of Arts in 1992, subsequently serving (2004/9) as a Trustee and Treasurer. He is a Trustee of the Tuberous Sclerosis Association, serving as its Chair from 2010 to 2014, and leading a major programme of change management. 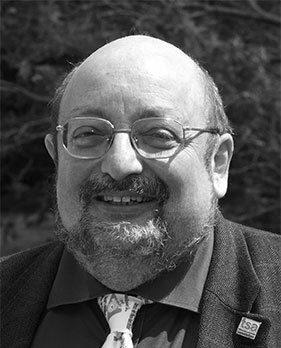 He is also Burials Officer of Guildford Synagogue, and a Trustee of Woking People of Faith. In the political world, Philip is an active Liberal Democrat, having fought seven Parliamentary Elections: Eton & Slough in 1974 (twice) & 1979, Woking in 1983, 1987 and 1997, and the then European Parliamentary constituency of Dorset & East Devon in 1994. He served as a Woking Borough Councillor from 1984 to 1992 (Chair, Highways Committee, 1988/90) and again from 2003 to 2008 (Deputy Leader of the Executive, 2006-7, Chair of Overview & Scrutiny 2007-8). He was a Member (1990/2) of the Federal Policy Committee and (1988/93) the Federal Conference Committee of the Liberal Democrats, and a Member (2000-10) of its Federal Appeals Panel (Chair, 2006-10). Marrying his legal and political worlds, Philip was the legal adviser (1987/8) to the former Liberal Party in relation to its merger with the former SDP, and joint author of the original Constitution of the Liberal Democrats. He also advised on the procedural provisions of the Scottish Coalition Agreement (1999) and the UK Coalition Agreement (2010). Educated at St Paul’s School and Oxford, where he read Classics. Married with three surviving children. Son of the late Nathan Goldenberg OBE, who was Marks and Spencer’s Chief Food Technologist.